I’m sure this small arch has an official name, but the locals call it “the Furnace.” For a few months each summer, with the sun in the right location, the last rays of daylight illuminte the walls of this arch, turning them a bright reddish-orange. The color doesn’t last long, but it was amazing. And the beautiful sunset added the the drama unfolding before me. This arch is one of 9 arches in Rattlesnake Canyon, the second highest concentration of arches in the US, second only to Arches National Park in Utah. 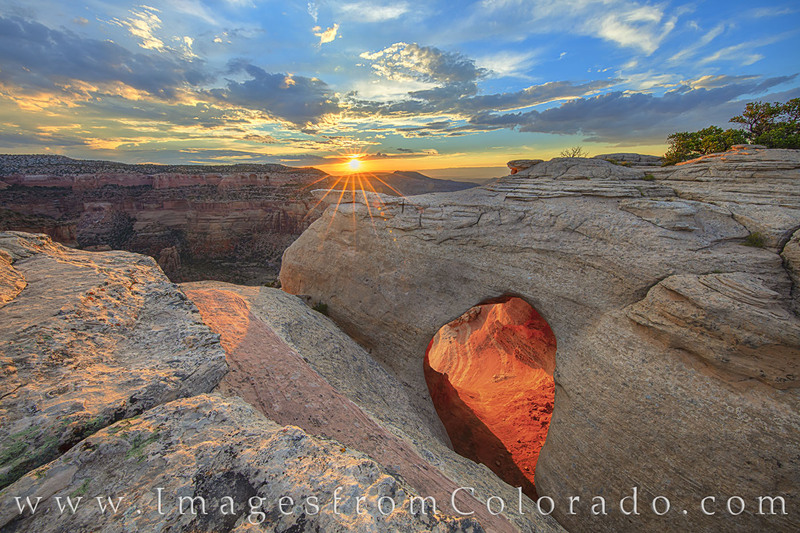 Rattlesnake Canyon is just west of Colorado National Monument and Grand Junction, but travel to this beautiful and remote location is not for the faint of heart.